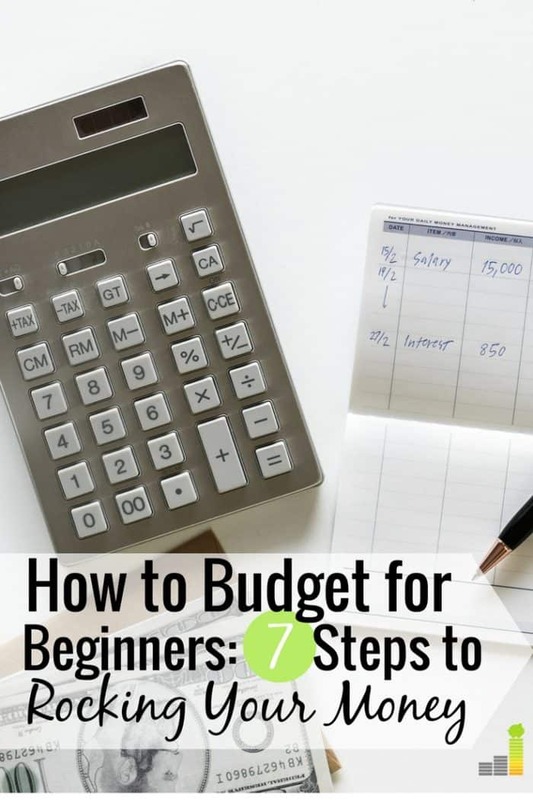 Do you know how to make a budget? 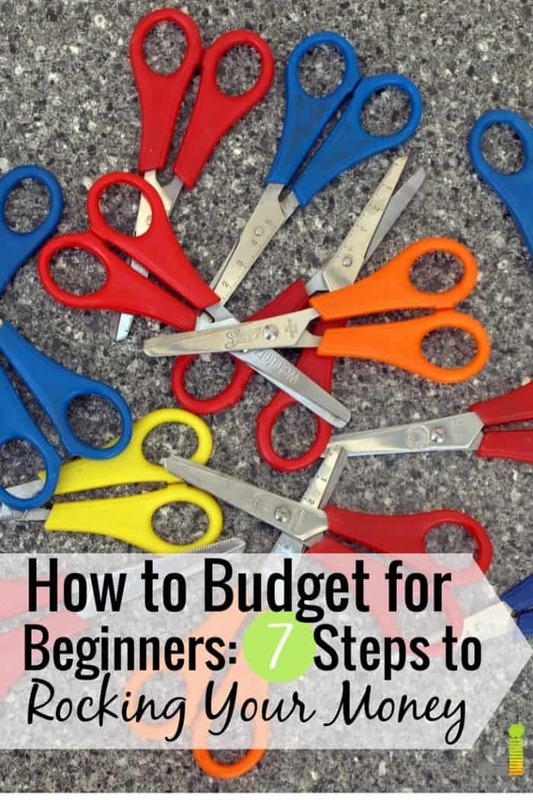 Do you think living on a budget is difficult, so there’s no point in even creating a budget? You’re not alone. Discussing budgets is something I do on a regular basis with those who want to learn how to effectively manage their money. I used to be the same way. Actually, I was worse. I spent money without abandon and didn’t know what I had left at the end of the month. It wasn’t until I learned how to create a budget and track my spending that my financial life turned around. If you want to get your finances back on track and learn how to make a budget, this guide is for you. I can’t have fun if I live on a budget. It’s too difficult to live on a budget. All of those assumptions have one thing in common. They’re wrong. Making a budget may feel restrictive or make you feel like you can’t have fun. The opposite is true. A budget creates freedom. It gives you control. It gives you the confidence to make financial decisions that serve you best. That, in short, is why you should consider how to start living on a budget. Creating a budget is like using GPS when going on a trip. It guides you to your destination. A budget, in similar fashion, guides you financially so you can reach your personal goals. Ultimately, they both empower you with the knowledge that you’re headed in the right direction. So, we know why we should live on a budget, but how do you even begin the process of making a budget? The first step to start a budget is to figure out how much you earn each month. If you’re not certain exactly how much you make each month, look at your paystubs to determine that amount. If you make extra money on the side, you want to include that money as well. You may not know the exact amount you make each month (if your income fluctuates, here’s a guide to budgeting with a variable income). Don’t let that hold you back. Instead, try to determine as close as you can what you bring home each month, after taxes. That’s going to be the base you work from in making your budget. It goes without saying that you want your income to be more than what you spend each month; you’ll go nowhere quickly if you have more going out each month than coming in. Your variable expenses may look different, so this is really meant to give you an idea of some things that could classify as variable. It will be a bit more difficult, but you want to back into the number for each variable expense. Take groceries, for example. You can keep track of what you spend each week over the course of a month. Use that number for your grocery category to help find a reliable number, then do that with each of your monthly variable expenses. If you’ve never tracked your spending, you can go as simple or as advanced as you want. I like to use Excel for much of our budgeting. You can even use pen and paper. You can also automate the tracking. Tiller is a service that connects to your bank account and puts all your transactions in a Google Sheet so you can look at all your expenses. Tiller is free for the first 30 days and $5 per month thereafter. The final expense category to keep in mind is comprised of those things that happen, but not every month. Car insurance is a good example of this. If you pay your auto insurance bill once every quarter, semi-annually or annually to get a discount, you want to plan for that expense, so you’re not surprised when the bill comes due. Again, these are only example categories. You may have more or less, but this should give you a good place to start. So, how do you fit in such irregular expenses into your budget? It’s not as difficult as it might seem. Take gift / holiday spending, for example. You will want to look at what you’ve spent in the previous 12 months on gifts for friends and family. Let’s say you spent $600 on gifts in the previous year. When you spread that amount over the course of the year, it comes out to $50 per month. That’s the number you want to include when you make your budget. You’ll want to do that for each major, irregular expense. I’ll cover how to save for these irregular expenses more in-depth in a later section. You’ve figured out how much you make each month and how much you spend each month. I know it might be a little embarrassing. It may be a little shocking. It will be an emotional experience. However, now is the time to let the light shine on the situation. You want to see how you stack up and what your financial life looks like. As you can see in this sample budget, the person has $275 in wiggle room each month. Regardless of their situation, that’s very little to play with each month. Keep in mind they’re only sample numbers, based on averages; your situation will likely be different. It won’t take much to throw a situation like this into a budgetary mess, and cause you to end up living paycheck-to-paycheck. That is not what you want. Ideally, you want to get a month ahead of your expenses so you can handle most things that come your way. In fact, you should aim to have at least one month’s worth of income sitting in your bank account to provide a cushion. You never know what will happen in life. You may miss a paycheck or have an unexpected bill. Having a cushion will help you make it through those times. What we will cover next will help you get there and beyond. According to Pew, 75 percent of the average family’s expenses fall into ‘core’ needs, so you are more likely to find good candidates for cost savings in non-essential categories. Not that you can’t find savings in essential categories, but we want to focus on non-essential items for the moment. The first areas you want to look at are candidates for obvious savings. Let’s take your cell phone plan for example. A contract with a major carrier averages close to $150 per month. There is no need to pay that much for cell service. There are many options, such as Republic Wireless, that operate on the same networks as the major carriers and have plans as low as $15 per month. You can move to a cheaper plan and instantly save $100 per month that you can put towards a different area of your budget. Another area you can look at is cable TV. The average cable bill is over $100 per month. There is no need to spend that much for television content, especially as so much is available online these days, not to mention streaming options. You can get many of the same channels with DirecTV Now for $35, for 60+ channels and save at least $50 per month. We canceled DirecTV two years ago and now save $90 per month and don’t miss anything we were watching previously. Finally, you can look at memberships or subscriptions you may not use. A great example of this is a gym membership. Gym memberships are great…IF you use them regularly. Unfortunately many of us don’t and that leads to wasting an average of $40 per month. We just identified a little over $200 per month in savings and there are many other ways to save money every month out there. Just remember to personalize it to your situation to find the saving areas that impact your lifestyle the most. If you’d rather not deal with the hassle of cutting or negotiating bills, you can use Trim to do the work for you. Trim is a free to use app that analyzes your spending and looks for subscriptions you don’t use and cuts them. They also negotiate bills to help save you money. If you don’t have one, an emergency fund is the first thing you should start. This is what will help you when something unplanned occurs. Which, let’s face it, can happen at any time. Interestingly, a recent Bankrate report shows that 66 million Americans do not have an emergency fund. Putting an unexpected car repair on a credit card without knowing how you’ll pay that debt off is just one example of a negative financial consequence that can be avoided with an emergency fund. If you don’t have an emergency fund, now is the time to start one. You can open an account with CIT Bank with just $100 and earn 1.55 percent on your cash – currently 22x the national average. Take some of the savings you identified and put it in a savings account. Grow that to $500 and then to $1,000 and so forth. This will give you a good foundation to handle most things that might come your way. Paying off debt is self-explanatory. After you start building your emergency fund, you want to throw any extra money you have at your debt. This can include anything from student loans to credit cards and car payments. Ideally, you want to find the debt with the highest interest rate and throw your money at that. If you have high-interest rate credit cards, you may want to look at consolidating that debt so you can pay it off quicker. You can either consolidate the debt through LightStream or Avant to slash your rates by at least half or transfer to a 0% APR credit card. Either will allow more of your money to work to kill the debt for good. If you have student loans you want to pay off faster, you can accomplish a similar rate reduction with Credible. In fact, the average Credible user saves almost $19,000 on student loan payments. Lastly, assuming you’ve started to build an emergency fund and have begun to deal with any debt, you want to start saving for retirement. That is somewhat beyond the scope of this guide, but the easiest place to start is by investing in your employer-sponsored 401(k) plan, assuming they offer one, and save enough to get the full match. Remember when I discussed managing irregular, but known, expenses in step two? When I first started living on a budget, there were several occasions on which an expense would pop up and throw me for a loop. Why? I knew the expense was coming, but I did nothing to save for it. I just assumed I’d have the cash whenever the bill came due. I was playing a game of budget chicken with my expenses, hoping to come out the victor. It only took a few times of ending up on the losing end to teach me the importance of planning for those expenses as well. We now use what I like to call the “savings bucket” method. This is how the method works. We have an account for expenses like car insurance. Every month we put money into that devoted savings account for bills – we use a high-yield savings account so we can earn a little something on the cash. You can do the same with Synchrony Bank to earn 1.55 percent on that cash. When a bill comes due, we transfer the cash we need over to our checking account and pay the bill (Well, we put the bill on our credit card to earn rewards points, but we still pay the bill in full). By doing this we know where the money is coming from, we pay the bill, and we move on with no surprises or impact to our financial well-being. You can also achieve the same result by using the cash envelope method. Regardless of which approach you take, find a way to plan for those irregular, but known expenses so your budget doesn’t take a hit each time those bills come due. If you’ve made it this far, give yourself a pat on the back. 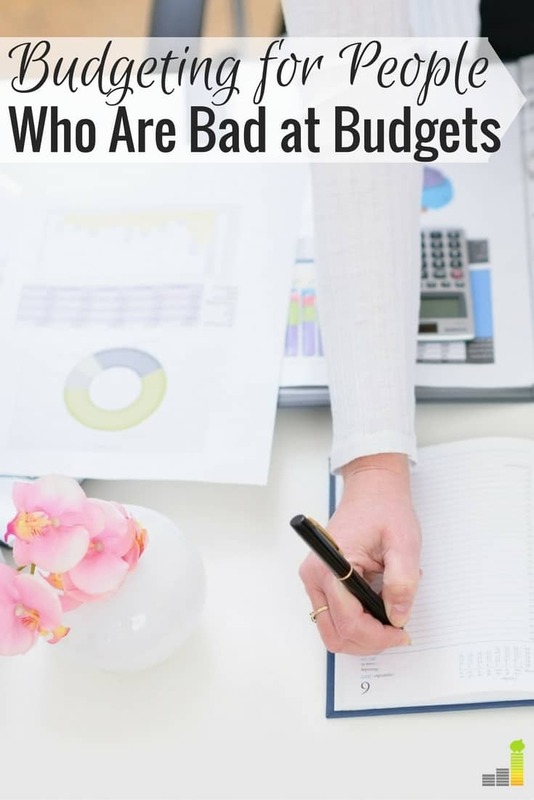 Hopefully you have some answers to the question, ‘how do I make a budget?’ The final step is to determine how exactly you’re going to make your budget. As you will learn, starting to live on a budget means you need to track your inflows and your outflows. Thus you need something to administer that throughout the month. 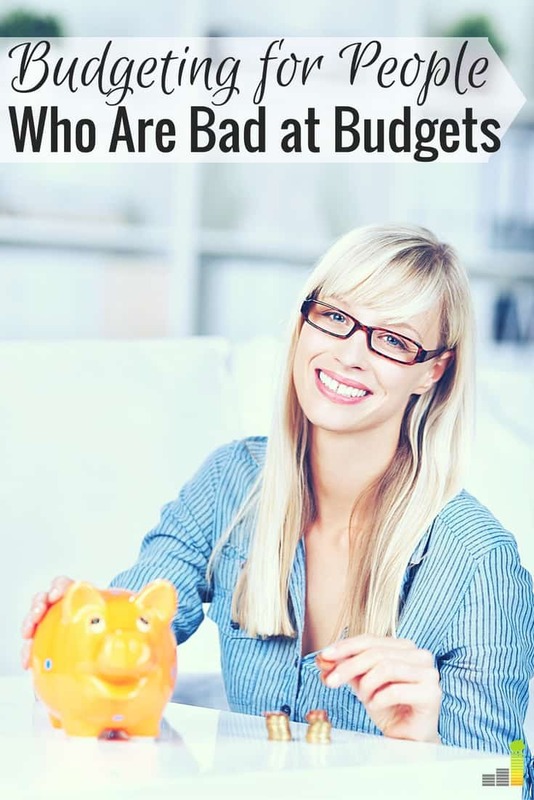 There are many options available to create a budget. My first budget was simple and on a piece of paper. You may not want to start that simple, but it is a good first option to start writing down in concrete what you have coming in and going out each month. You can also accomplish the same thing by using Excel. I used Excel for our budget for years and still do to a certain extent. If you want something web-based, you can use programs like Mint or Personal Capital. Both platforms are free and provide a great way to track your spending, check up on your budget and get a snapshot of where you stand financially. We use Personal Capital as it has some investing components I like, monitors our net worth and is free to use. I’ve included a screenshot below of how Personal Capital lays out your expenses to get an idea of what it looks like. You really can’t go wrong with any of the available options. The point is to make a budget and track your spending, so you know where your money is going each month. Find something that works for you and run with it. Living on a budget requires one thing – it must be in line with your goals. They are what must guide your decisions, how you allocate your money and how you spend it. That’s why you hear people say that living on a budget creates freedom and confidence. You have freedom because your budget is aligned with your specific goals. Sure, you can spend your money like crazy but what would be the point? Personally speaking, knowing that we’re working towards a specific goal drives me to make the spending and saving decisions we want because I know it’s going towards something greater than a temporary high from buying something we really don’t want. As you make your budget, determine what your goals are and how you can be successful. If it’s to pay off debt, then that should guide your budget. If you want to retire early then, you’ll want to throw as much as you can towards investing. Whatever it is, it must be personal to you, and no one can tell you what that will look like – only you can do that. Take the time to determine your goals and let them form the foundation of your budget. The rest will fall into place from there, but you must allow your goals to guide the entire process. These goals will change over time, so review them regularly to ensure you’re being effective with your budget. Do you live on a budget? What tools do you use to track your spending? How often do you check in on your finances? 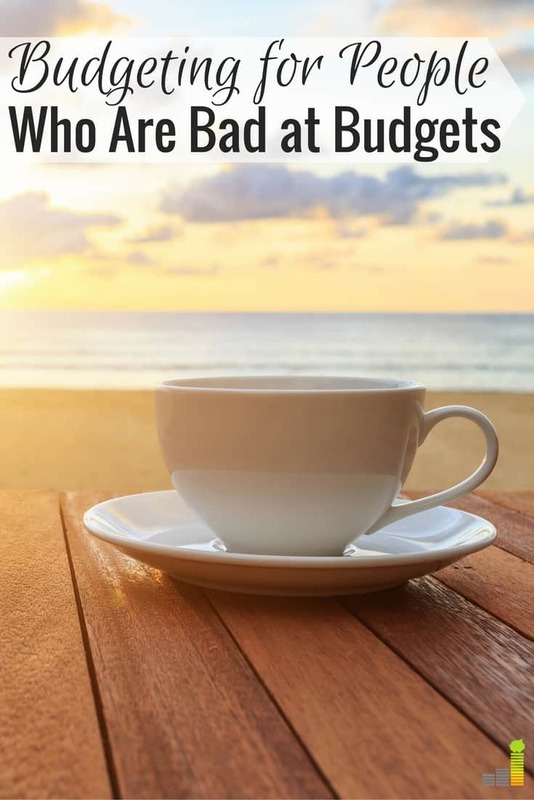 Do you feel a budget is restrictive or freeing? 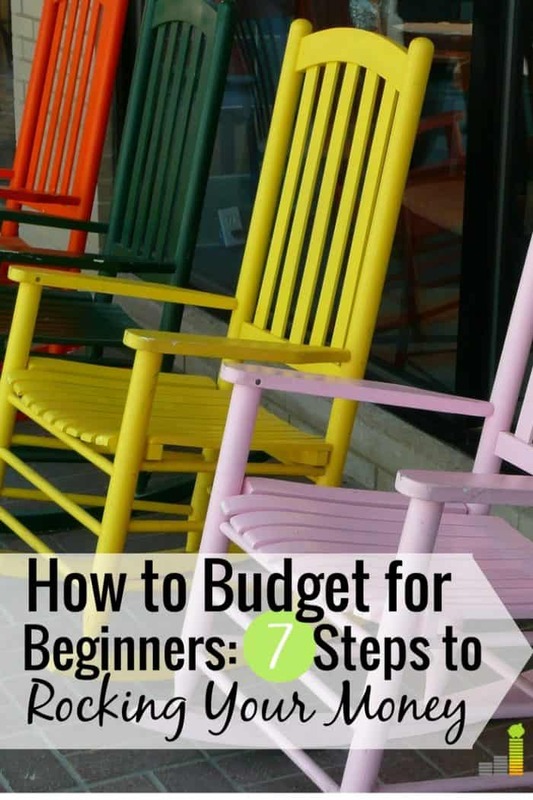 The post How to Make A Budget: The Ultimate Guide appeared first on Frugal Rules.